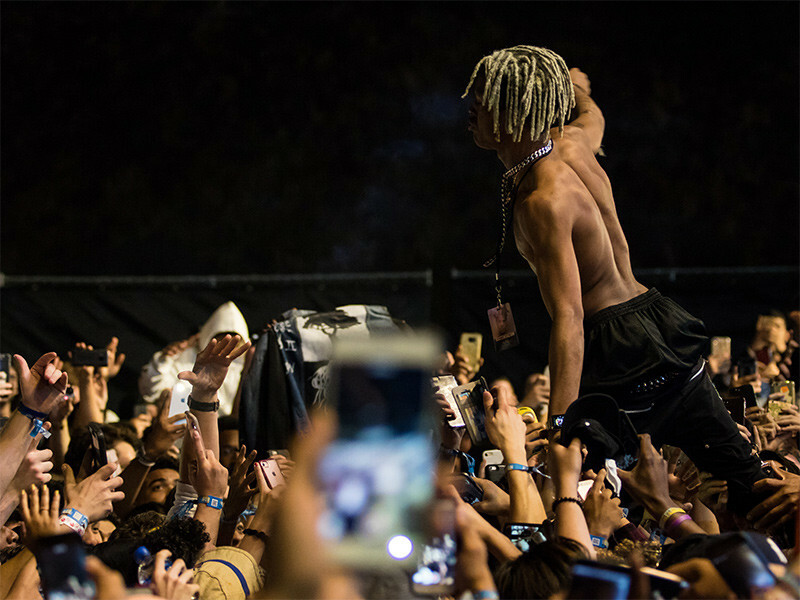 Los Angeles, CA – A XXXTENTACION memorial held by fans in Los Angeles on Tuesday (June 19) turned rowdy as those in attendance jumped off rooftops, broke into sporadic moshing, and more. Longtime HipHopDX contributor Eric Diep captured the mayhem on video and shared it to his Twitter account. Police appeared to be heavily present as the evening progressed.